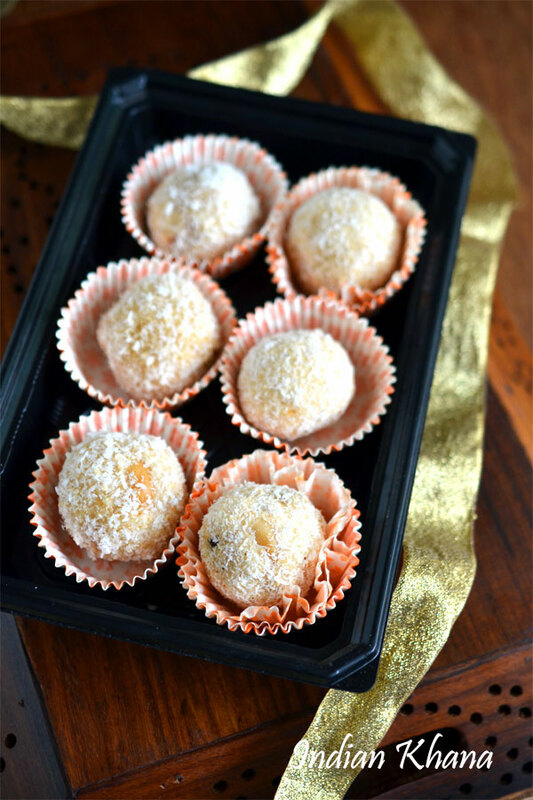 Rava or Sooji ladoo is one laddu that I make the most often especially during Diwali and during my India trips whether I am at in-law's place or my parents place I also make 2-3 kgs of this delicious rava ladoo on my niblings request. 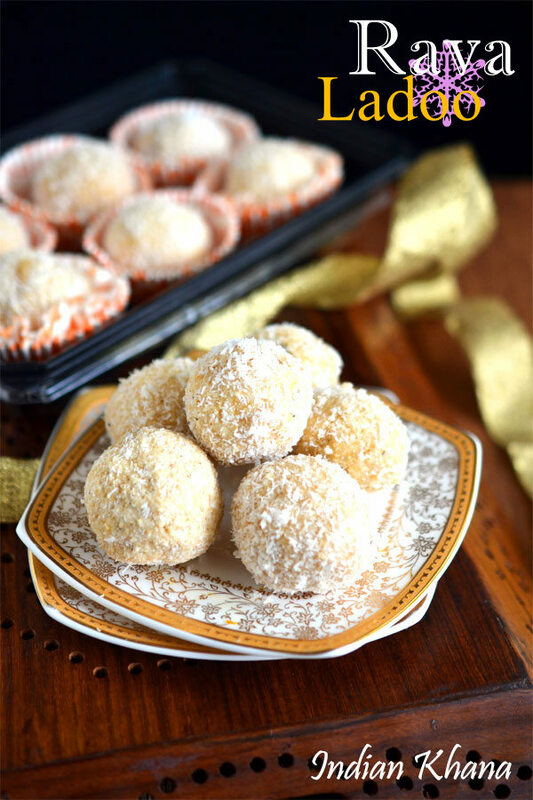 These ladoos are very easy to prepare and can be done in no-time of course when we are making in large batches then it does time to roll the ladoos. 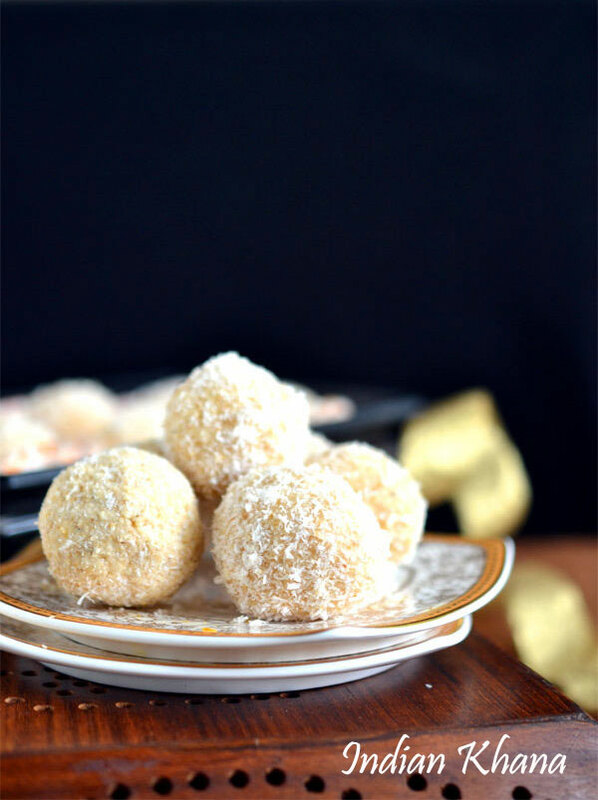 There are few varitions we can do with these ladoo like we can use milk instead of water as I have used in this recipe or add ghee to bind ladoo which makes it more tasty ofcourse. 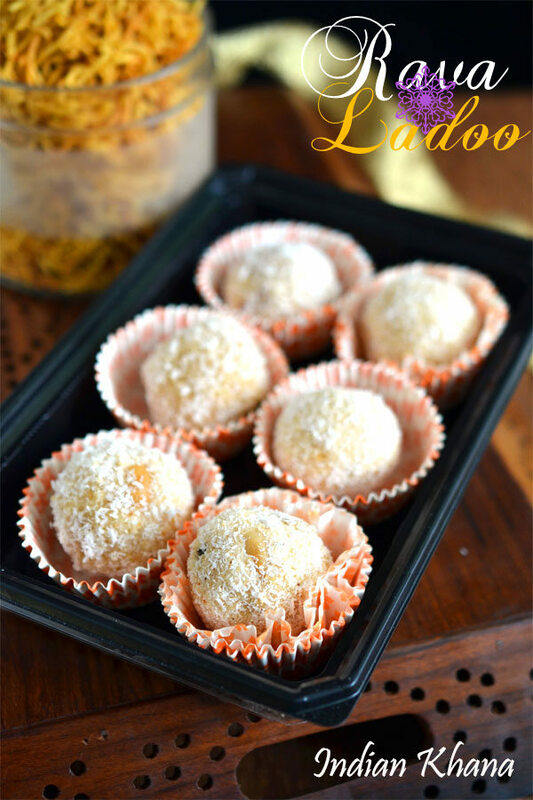 These ladoo is one of those recipe that I make so often and I have clicked the pictures so many times but everyone didn't manage to post for some or other reasons and finally this time I am able to post one of my favorite ladoo with you all. Grind sugar and cardamom seeds into fine powder, keep aside. 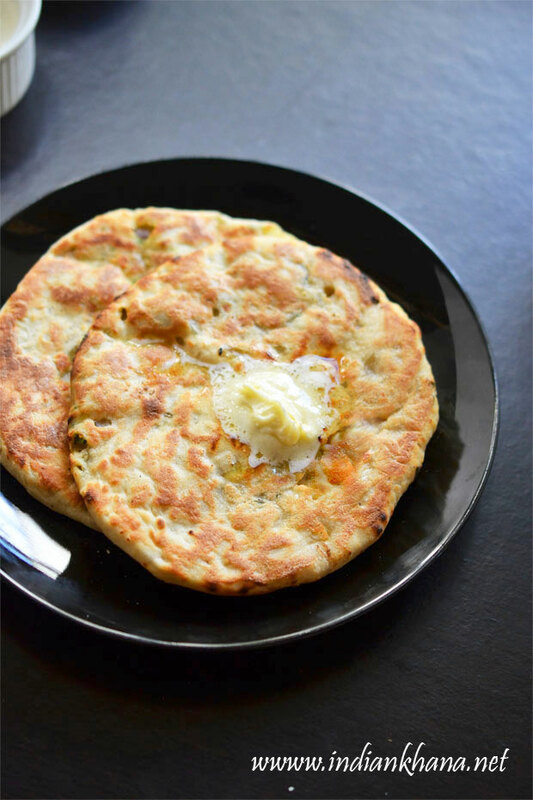 Heat one 1 tbsp ghee or oil in a pan or wok and fry cashewnuts, raisins until golden brown and keep aside. Add remaining ghee to kadai (wok) and roast sooji until light brown and aromatic, keep stiriring always so sooji/rava doesn't get burnt. Allow roasted sooji to cool a bit and grind into fine powder half of roasted sooji. Heat water or milk until warm. In a wide bowl add powder sugar, half of roasted sooji, powdered sooji, fried nuts and mix well. 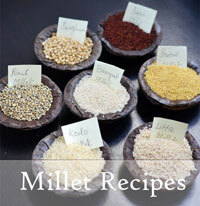 Take rava mixture, in a bowl warm water, in another bowl cold water and desiccated coconut to start making ladoos. 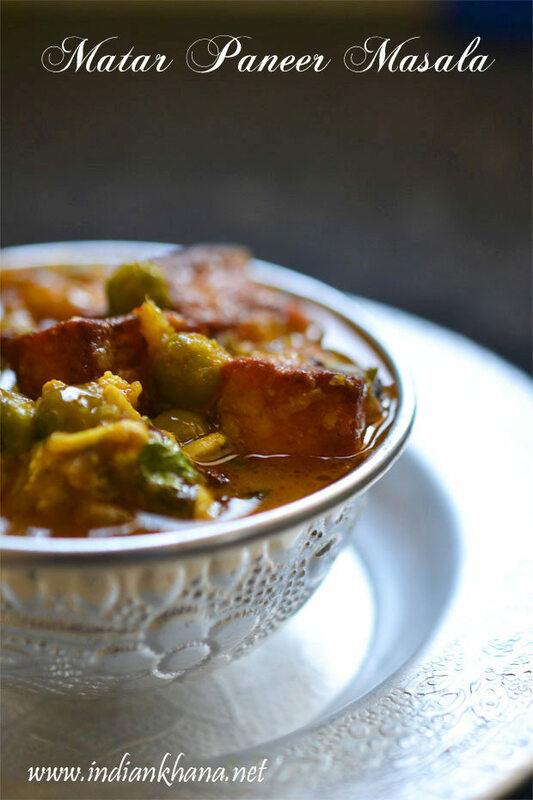 Once rava cool a bit to handle, add little warm water in a portion of rava and mix well. 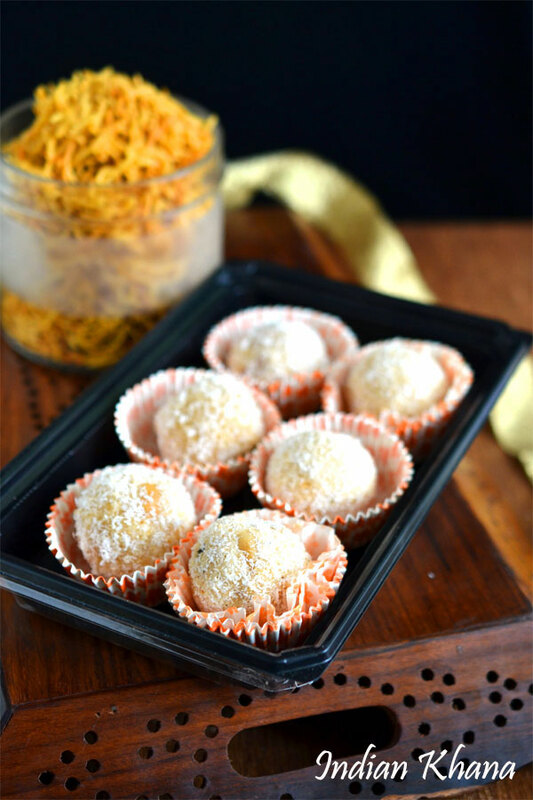 Take a small portion of rava mixture and roll into ladoos, place prepared ladoo over desiccated coconut and roll water to cover all sides of ladoo with coconut. 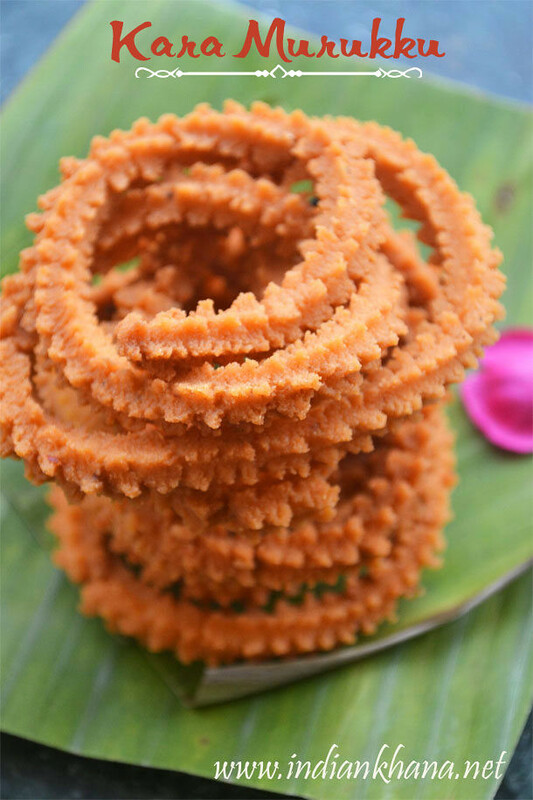 Once all the wet mixture is used, add water in small quantity in another portion of rava, mix and make ladoo, repeat same for rest. ~If the mixture is hot to handle, dip hand in cold water bowl and make ladoo. Store in air tight container and it stays good for 2 weeks. You can replace water with milk and follow same procedure. 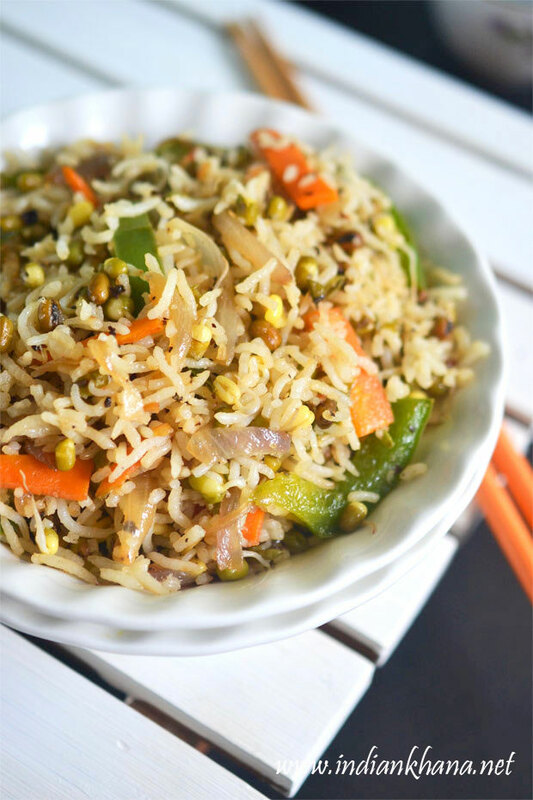 For Vegan version, use coconut or any other non-fragrance oil instead of ghee. 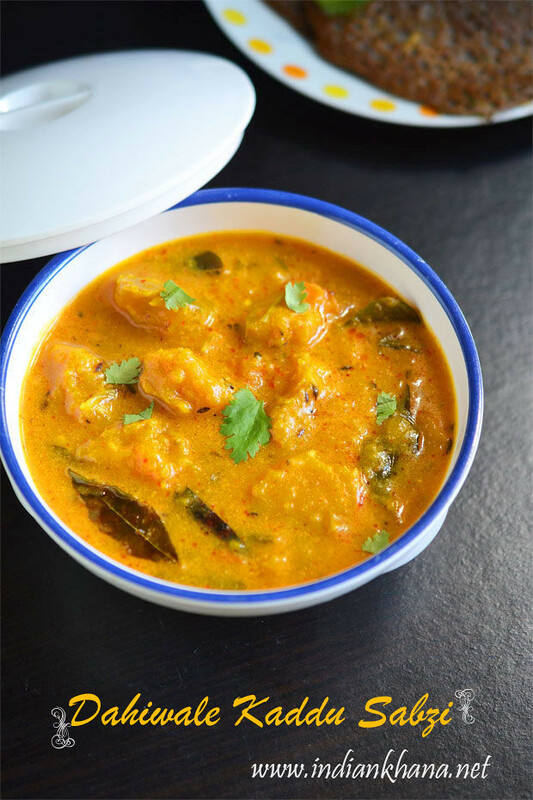 You can also add melted ghee in roasted rava (sooji), mix well and make ladoo instead of using water or milk or more tasty ladoo. 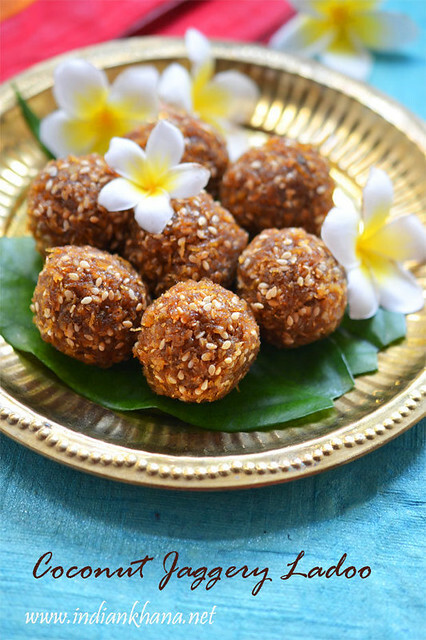 You can add half melted ghee and half water or milk too to bind ladoos. 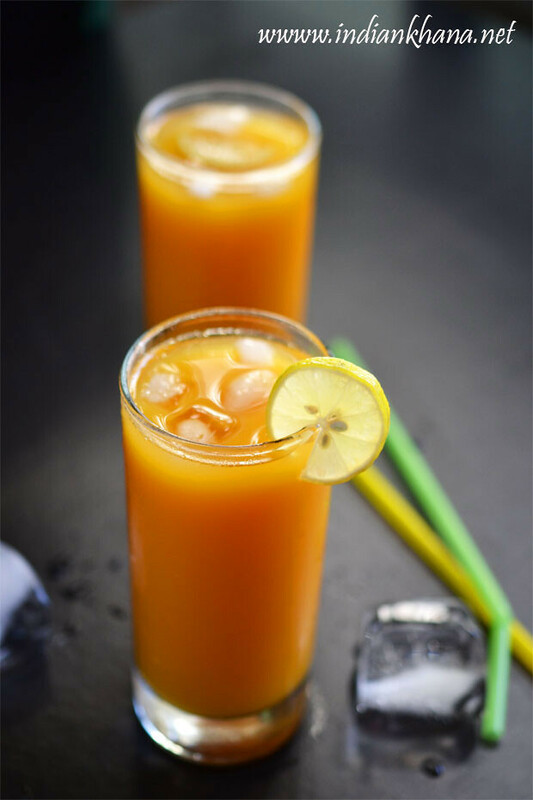 If you are using warm water to bind ladoo then add only in batches, do not add water and mix everything as once the mixture cools down it will become difficult to roll ladoos. 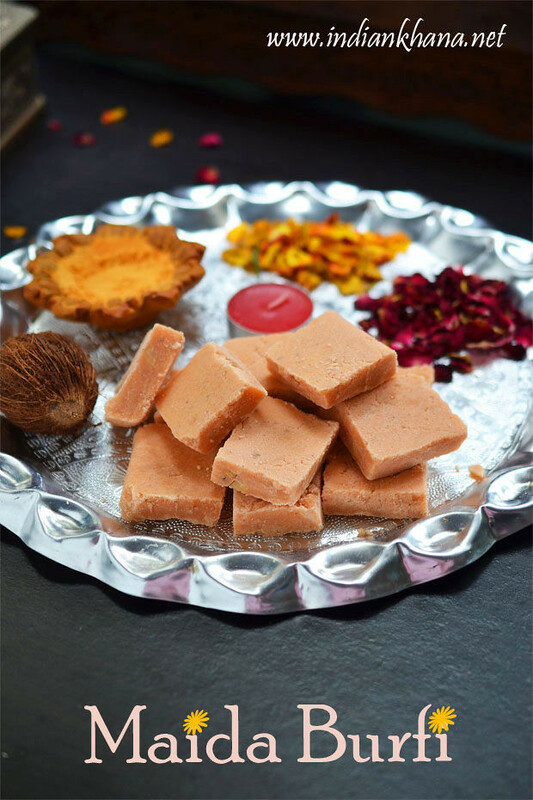 If you are not able to make ladoo then heat water again and start making ladoo it will work. 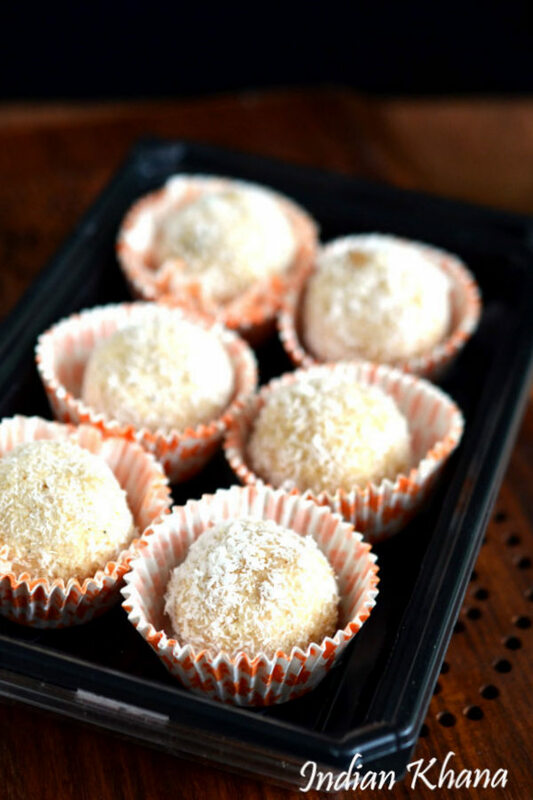 If you want ladoo to stay for 3-4 weeks then skip desiccated coconut. 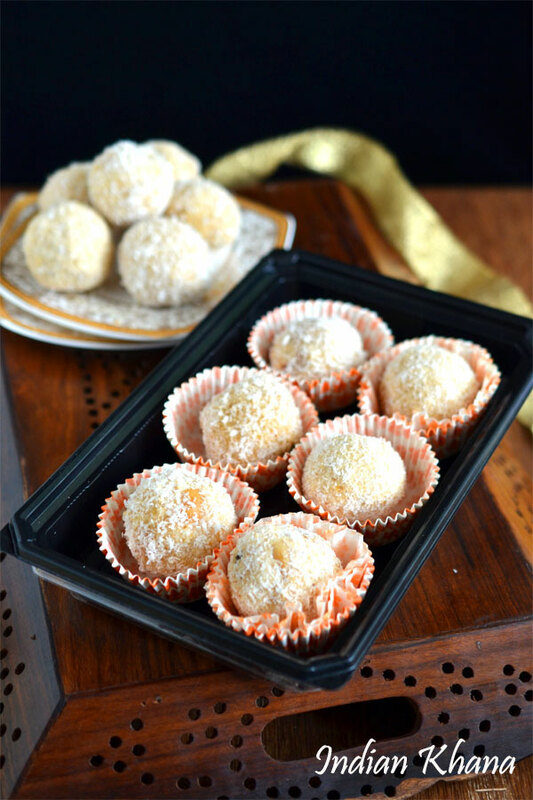 Delicious, quick and simple Rava Ladoo.